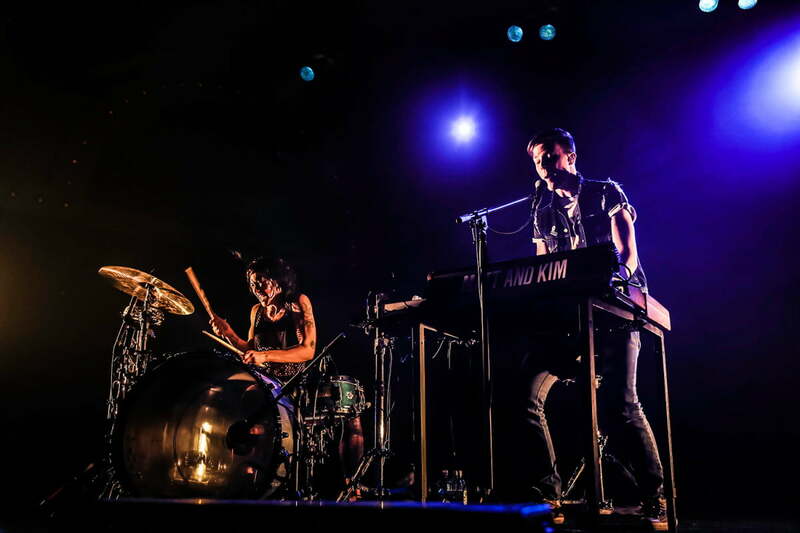 So says Matt and Kim, the dynamic, electronic-pop duo whose high-energy live shows make them a mainstay of the music festival circuit. Matt Johnson and Kim Schifino, duo on stage and couple in real life, met while attending the Pratt Institute before forming the band in 2005. One of their earliest shows, prior to pursuing music together, was opening for a friend’s band. The couple originally turned down the offer, but their friend insisted, putting them on the bill as Matt and Kim. The name stuck, and the rest is history. Though you could categorize Matt and Kim as an indie band, they don’t feel the attitude attached to the genre label is a good fit. Their approach to music is refreshing, fun, and independent. 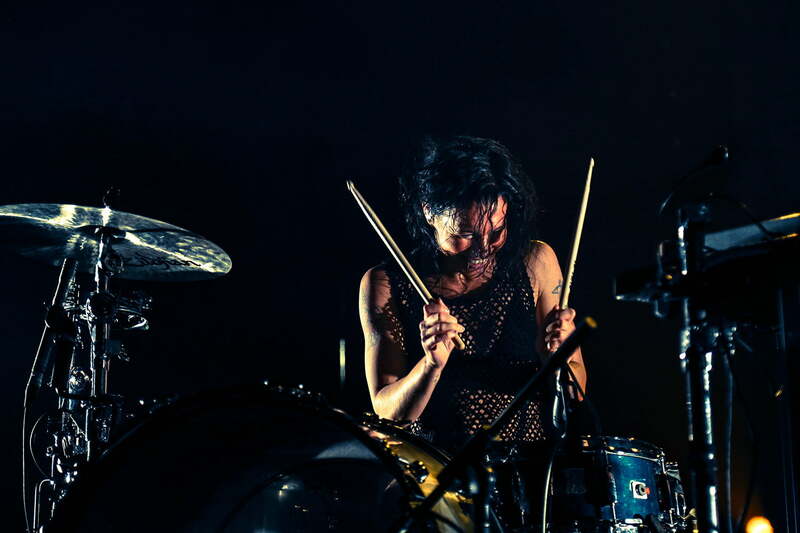 Indeed, having fun and making sure their fans can join in are Matt and Kim’s top priorities, and you can see it in their act. 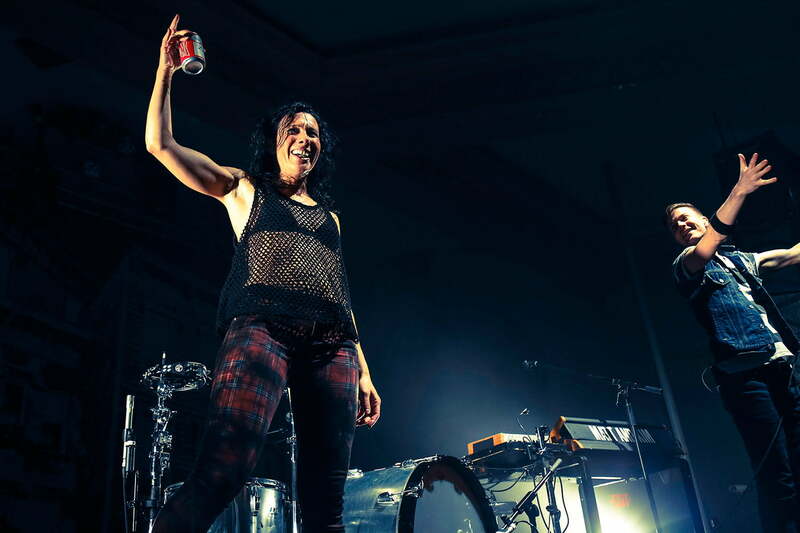 With five albums already under their belts, Matt and Kim show no signs of changing course, and that’s how they like it. Throughout their live show, they radiate excitement for what they do. 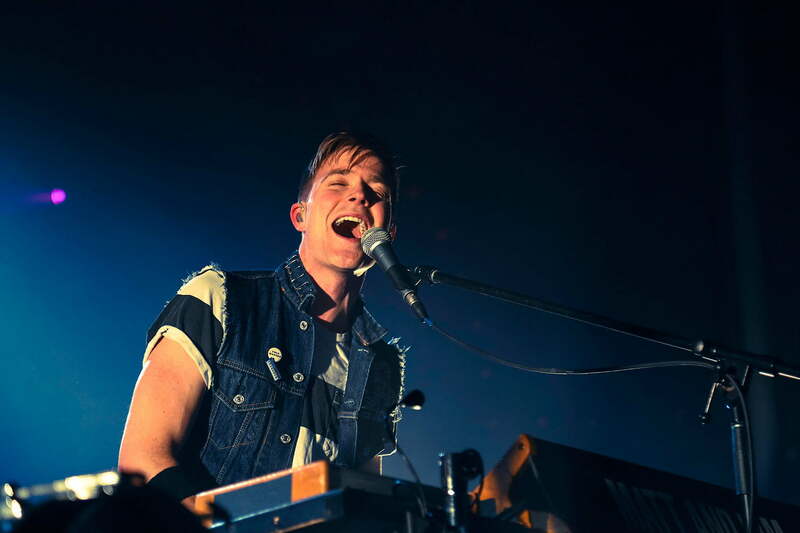 “We strive to be fun, but never cliche,” adds Matt, when speaking to how they approach their music and performing. 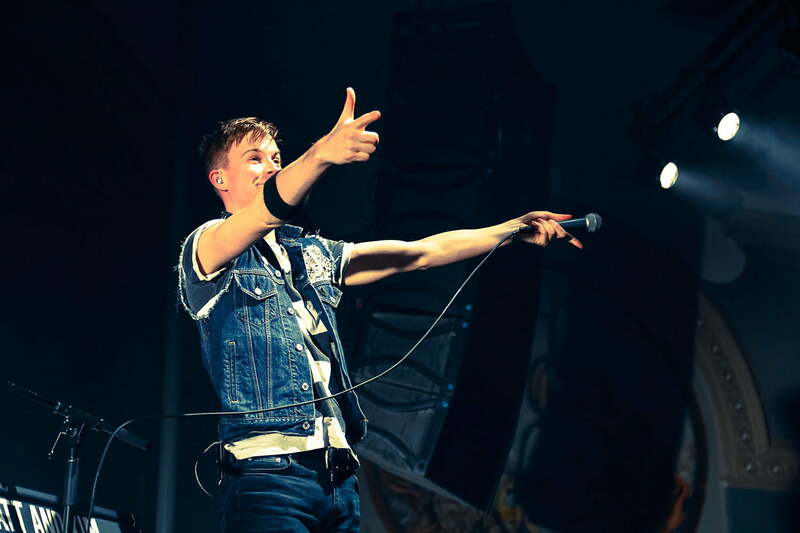 Matt and Kim are not only recognized for their lively take on indie-pop, but also for their music videos. This is where Matt’s film school background and Kim’s infectious dancing abilities take center stage. They worked with choreographer, Tanisha Scott, on both Hey Now which showcases Kim dancing her heart out, then reunited with Scott to create the video for It’s Alright, where the couple dance in bed. Each video has its own unforgettably eclectic feel, with nearly all of the concepts coming directly from Matt and Kim themselves. When they aren’t busy turning every show into a party, the pair make time to focus on their songwriting. 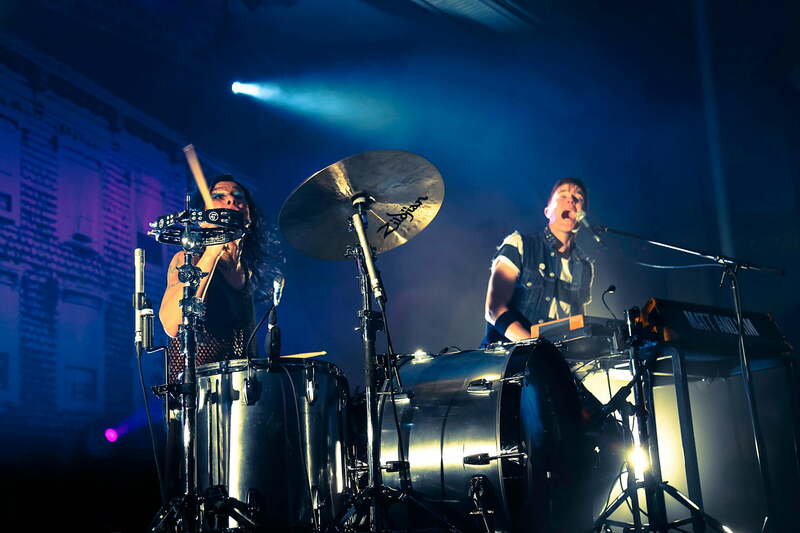 At the end of 2013, Matt and Kim engaged in a year-long workshop process to develop material for their upcoming album. During this time, they produced approximately 60 songs. No matter how many sold-out shows they play or energetic albums they record, the couple remains refreshingly down to earth in how they approach their music and manage their increasingly busy touring lifestyle. These sentiments can best be heard in their song Hoodie On which addresses their thoughts and how, with each new success, they remain the same people they were when they met and first began playing music together. For this duo, authenticity is key. Energy can’t be faked, or the audience will smell it. The best way to get an audience to feel what you want them to feel is to feel it yourself.